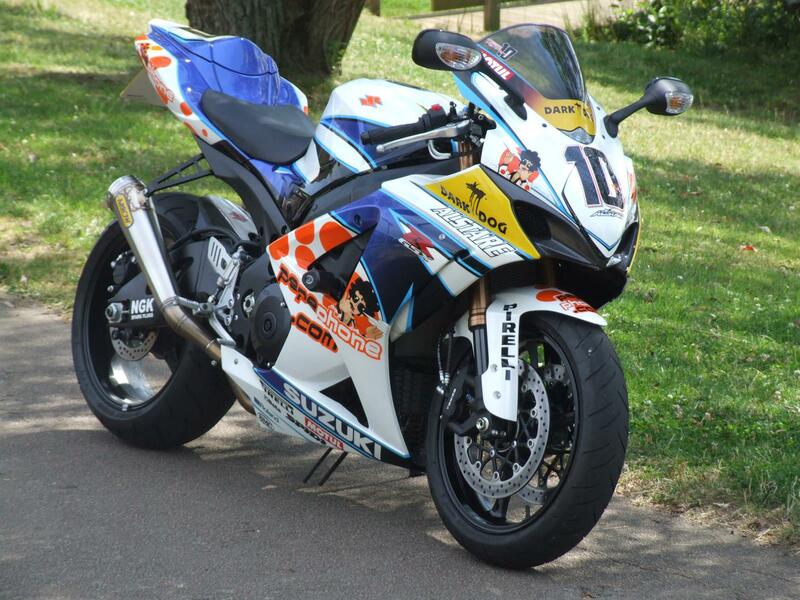 Recently I had my K8 Suzuki GSX-R1000 resprayed in Fonsi Nieto's Alstare WSB colours by Altamura Paint in Camberley. They did a truly stunning job with everything on the bike completed in paint, no stickers/decals at all. This weekend is WSB at Brands Hatch and I of course have tickets for the event but on Thursday they had a 'Meet the Riders' day at Brands where you could meet them, listen to the riders chat and then have the chance to get an autograph. 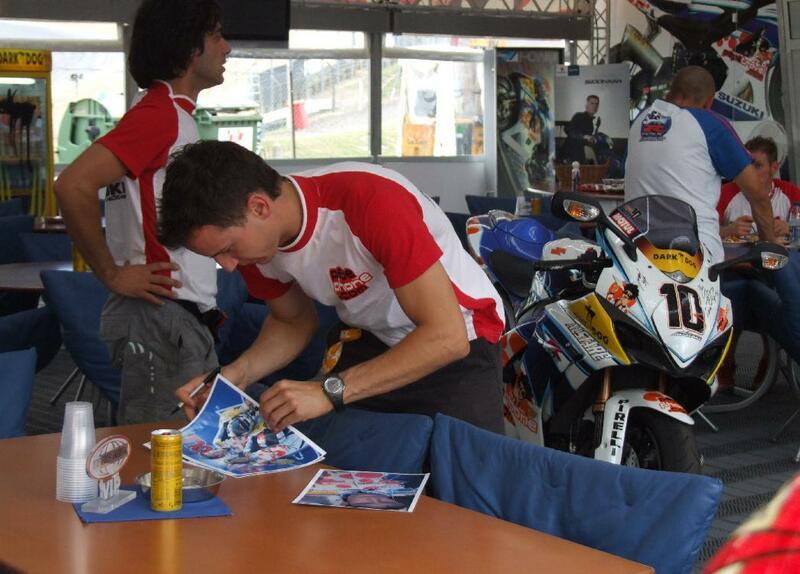 I thought this could be a perfect opportunity to get my bike signed by the man himself, Fonsi Nieto. 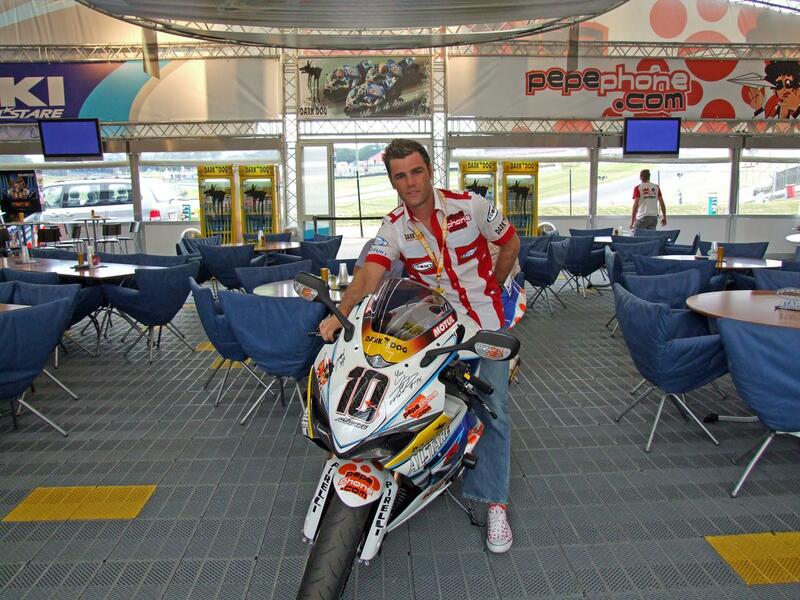 I contacted Motorsport Vision, the organisers of the event and was told that no unauthorised vehicles could enter the paddocks but they would let me park in their car park and then I could ask Fonsi if he would walk to the bike to sign it (fat chance!). 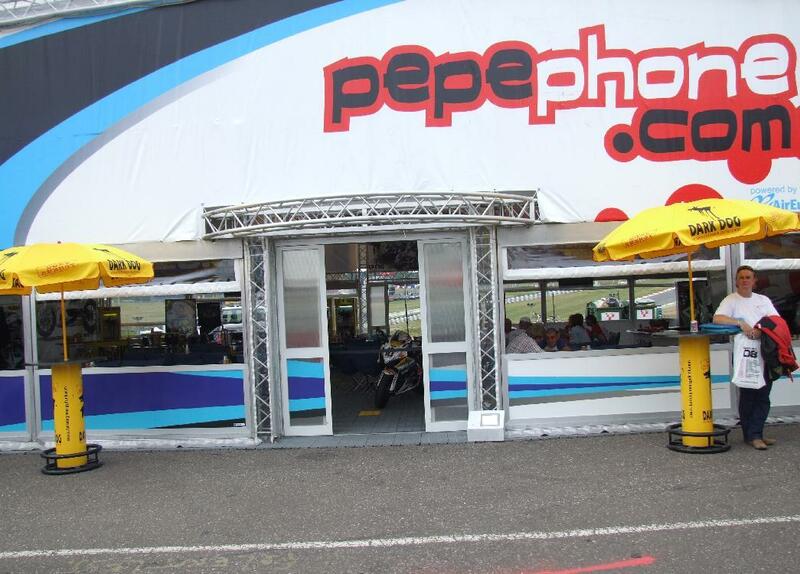 I arrived at Brands early and wandered down to the paddocks were I found the Alstare hospitality suite and I could see all the riders and crew chatting inside. 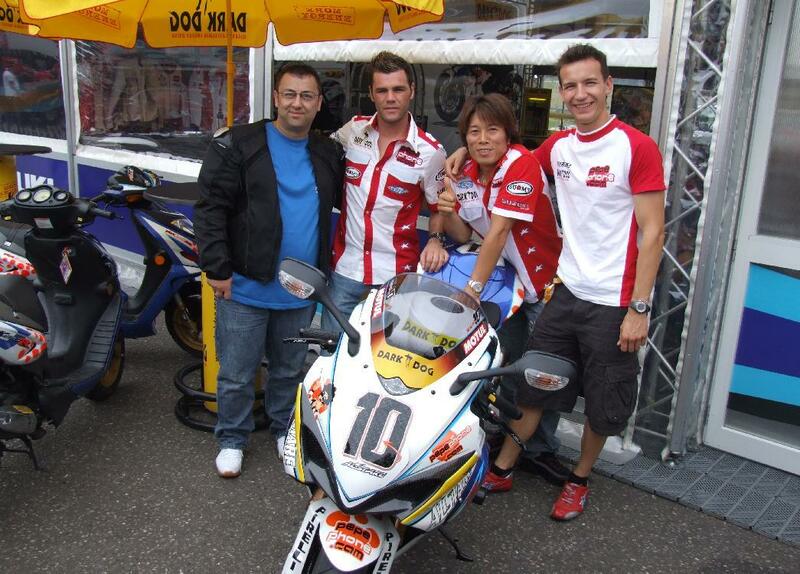 There was Max, Yukio and of course Fonsi. Then a crew member came outside so I approached him and asked if he spoke English. "A little, yes" came the reply in a German accent. I told him about my bike and showed him a few photos I had brought. I asked if there was any chance of getting Fonsi to come over to it and sign it. The Alstare guy said he could do better than that and told me to jump on the back of his paddock scooter and he rode to the main paddock entrance and told the security guard that I was a guest of Alstare Suzuki and my bike would be placed in their suite. I couldn't beleive my ears! I got my bike and followed him back to the Alstare suite. I parked up outside and he went inside the suite. Next thing, not only was Fonsi coming out, but also Max and Yukio too! They all looked over the bike admiring the work. Max said; "Nice bike, shame about the number!" to which Fonsi replied; "10 is THE best number my friend!". 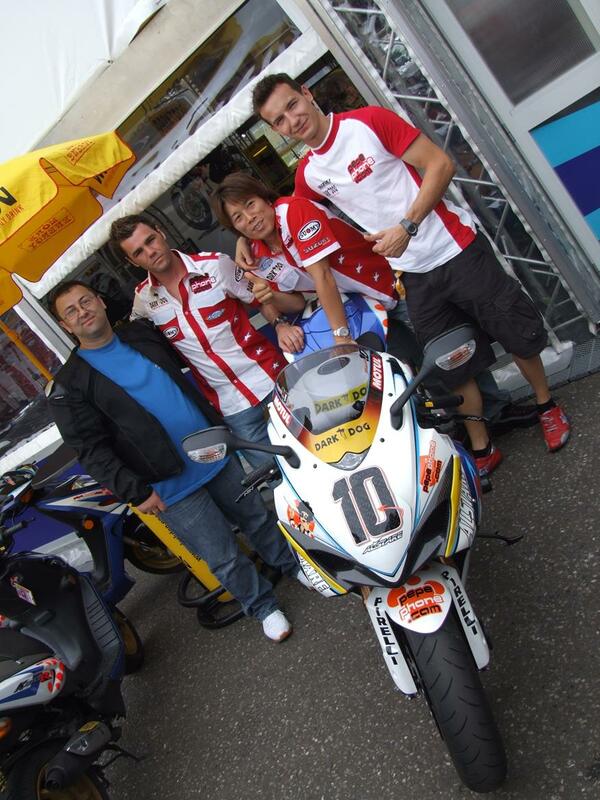 They all posed for some pics and then all three signed the bike. Then they invited me and the bike into their hositality suite and there I sat for the afternoon chatting with the Alstare rders and crew, even the boss Francis Batta admired the bike and shook my hand. They even gave me some crew clothing, shirts and tops. This day exceeded my wildest expectations and I'll never forget it. Tanks guys, the Alstare team were great and some other riders/teams could learn a lot about respecting the fans the way these guys do.